Before I begin my review, I have to say that I am a HUGE fan of Weir’s series on the six Tudor queens. There are quite a few Weir haters out there but you cannot deny this woman can write one hell of a novel – not to mention she’s popping one of these out every year. It’s quite amazing. 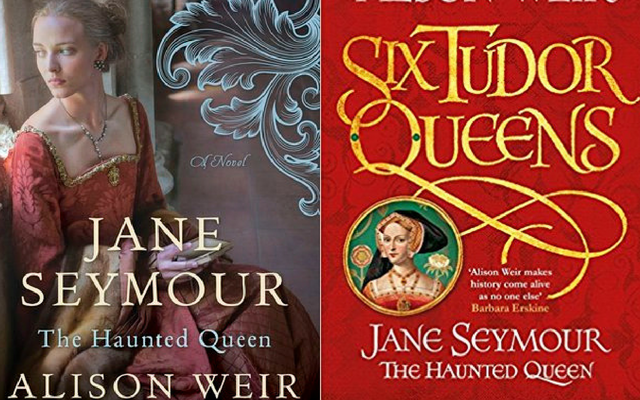 Acclaimed author and historian Alison Weir continues her epic Six Tudor Queens series with this third captivating novel, which brings to life Jane Seymour, King Henry VIII’s most cherished bride and mother of his only legitimate male heir. I have met many amazing authors over the past few years and have read plenty of books to draw comparisons. Even my husband knows when a book is good because I am constantly raving about how great it is and neglect everything in our life to continue reading. That is how I feel about this book – to be honest, it’s how I felt about the first two books in the series as well. The reason I love Weir’s novels so much is because she makes the story come to life for the reader. With every page I’m transported back in time to whatever the topic may be. Her writing seems effortless, something I envy. 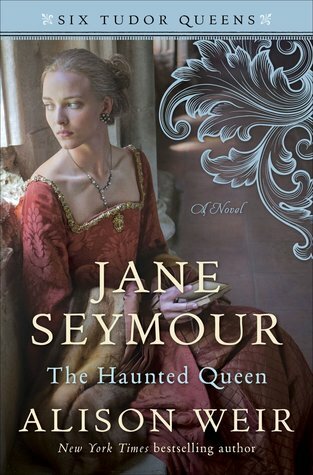 Many have asked (prior to reading this novel), “Why is it called ‘The Haunted Queen’?” Well, the answer is simple but may not be obvious at first: Jane Seymour, as the third wife of Henry VIII, married him less than two weeks after the execution of his second wife Anne Boleyn. Jane, in the novel, is haunted by the memory of Anne and her involvement in the late queen’s downfall. Jane was also very concerned about hurting dowager princess of Wales, Katherine of Aragon while she still lived and Henry was courting her. She felt as though she had betrayed a great friend whom she had been very loyal to while in her service and after she was removed to serve Anne Boleyn. But, let’s be clear, she is mostly haunted by Anne Boleyn. In the story, Jane is visited at night in her bedchamber by a shadow figure – she could not make out who it was but became convinced it was Anne Boleyn seeking revenge on those who had wronged her…Jane saw herself as instrumental in Anne’s downfall. Every time the shadow visited something awful would happen. This story is a real page-turner even though we already know how it is going to end. I always find it interesting to see an authors creative take on history. In my opinion, Weir does not disappoint. Her description of the Seymour family at the beginning of the book really brought them to life. You get a feel for each member and what they brought to the table, how the death of a loved one affected the entire family and how ambition brought them near the crown. Jane is often seen as the boring queen, but in this story you get to see the “real” Jane: deeply religious, extremely loyal, kind to all and haunted by her past discretions. There may even be some surprise developments. If I am to find anything negative to say about this novel it would be the fact that Weir found the need to slip in the extra nail again…I’m not sure why it bothers me so much but it was one of the reasons I set aside the second novel “A King’s Obsession” for weeks before going back to it. The other thing that I noticed while reading this book was that I felt (at times) that I was reading a scene straight out of “The Tudors”. It was quite strange to be honest – it made it easy to read and imagine the scene because it was something I was familiar with but I wonder if it influenced this novel at all or if it was straight coincidence. Even with that being said I absolutely LOVED this book and I hate that I have to wait another year to read the next one on Anne of Cleves. The idea of being halfway through his six wives and this series makes me wish he had married ten times, only so this series won’t end for another seven years. But that’s me being selfish. Lastly, there was one part of the story that I found intriguing – we all recognize Jane from her Holbein portrait and that is who we see her as…in this story we come to understand more about it and why she looks the way she does in the portrait. 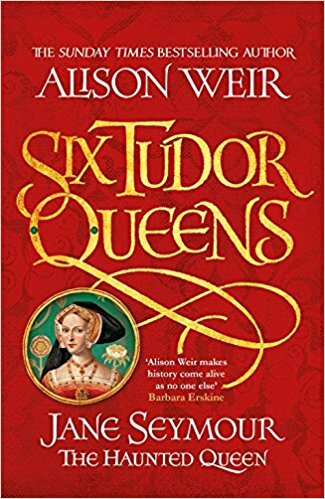 If you are a fan of the Tudor dynasty, or even if you are a fan of Alison Weir, I highly recommend this book. You will not be disappointed! I bought the book and could not put it down. I enjoyed what I also believe Jane Seymour might have been like. The king loved her so much but I wonder if in time he would have gone back to his old ways. In any case she gave him a son who did not die until after his death so I think his marriages might have ended with her. Highly recommend the book and picking up more of her books.